The woman’s hut is called nyomba. Here it is taboo for a mere stranger to enter, because nyomba is considered as the traditional sacred abode of the family and the proper place to hold communion with the ancestral spirits. All aspects of religious and magical ceremonies and sacrifices which concern the family are centered around the nyomba. It is for fear of defilement and ill-luck that strangers are not allowed to cross the sacred threshold. The man’s hut is called thingira; in this, friends and casual visitors are entertained. Collective tribal prayers and ceremonies were held under a Fig tree, Mugumo, facing Mt. Kenya but at a personal and family level all religious and magical practices centered around the Nyumba. Father C. Cagnolo in his book, The Akikuyu, 1933, records one such magical ritual where a medicine man is called by the family to undo a spell cast on a child. Going to the house of the sick child, he collects a few pinches of earth at the junction of the private path with the main road; then he collects more from each of the four corners of the hut. The whole he mixes in his mouth with goat’s fat, cinders from the fireplace, goat dung and saliva. … When the mixture is ready, he smears the joints of the feet, knees, hands and arms, with meticulous care, at the same time tracing in the air cabalistic signs to repel the spirits of the disease. The child so treated is bound to recover. The Nyumba is seen as the quintessential embodiment of cosmic harmony and the sick human body is re-udjusted back into harmony through the magnetic resonance with perfection. The restoration of the sick or disharmonious body back to wholeness is done by calling upon the subtle influences of the supernatural forces to align and act upon the natural body. 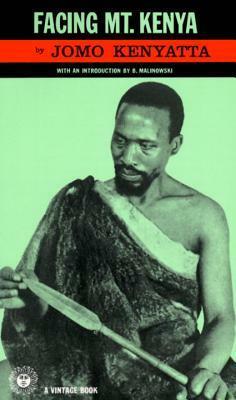 Thus the Nyumba is an instrument that is used to bring about this alignment of the natural and the supernatural. As described by Father Cagnolo, the joints, (corners) of the human body are massaged with paste made with earth taken from the four corners of the house. As we have explained in another post, the Nyumba is a container of the Gikuyu Soul. The center is the navel. In India this idea of harmonic correspondence with the house is practiced through the vastupurusha mandala. Similarly in China the concept of Feng Shui is a science of harmonious correspondences, a concept also echoed in the Gothic cathedrals layout based upon the ‘anatomy’ of Christ on the cross, or spirit embedded in matter. Today, the modern Gikuyu house is no longer a shrine and is devoid of rituals that sought to harmonise and adjust the mind, body and Soul. The internal plan of the modern house is akin to packaging meant for the supermarket. Its production as a product is no different from industrial production of the package just as one revered father of modern architecture put it: “The house is a machine to live in”. The disharmonious relationships and dis-ease so common in the modern family can be traced to the lack of resonance of the human soul and the Soul of the house. The Nyumba has been desacrarized and made into a mere nyumba. The centre can no longer hold. Things Fall Apart. In this site, we define Gikuyu architecture as “mīikarīre ya Agīkūyū”, that is “mūtūūrīre”, or the full spectrum of the Gīkūyū habitation – physical, spiritual, mental and emotional constructions. Thus for us, spiritual or emotional constructions are just as important as the physical constructions. The lack of rigid distinctions between one type of construction and the other as in the example just analyzed forms the basis of holistic architecture – healing architecture. Nindathoma na ndakena muno ni wira wina ngoga na waguturia maundu ma Ruriri na ma bata. Ngai wa maithe maitu ma tene akuongerere kio ona ugi wa gutuiria mangi maingi na akuhe mahinda makiria ihinda riri riria twina athuri ona atumia matari aingi mari na kirira kia ma kia mahinda macio mari matene. Ni wega, uthii on mbere na Ngai witu akurathime. Nindacokia ngatho cia mwanya Wakanyi na Ngai akurathime muno. Thai thathaiya Ngai thai! Absolutely fascinating stuff!! Thank you! mwene nyaga arorathima wíra úyu,níúra ruta wíra mwega rúrírí rume mútotondoíní úrútúra na thayú wa mwene nyaga we na jiarwa ciaku na ngai arúgutungia múnyaka wiraini waku ugikura ruríri úkomboíní,thaaai thathaiya ngai thaaai.